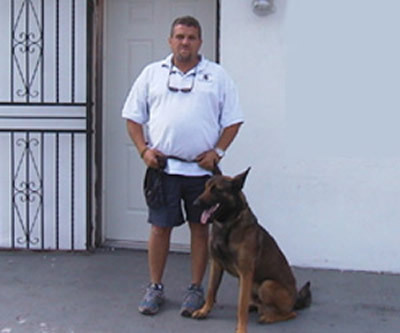 US K-9 Academy's training director, Peter Nuñez , has been professionally training dogs for over 30 years in Miami. He utilizes the most modern European methods to turn out world-class detector dogs, and has acquired worldwide recognition in the field of detector dog training. Peter has received numerous awards throughout the world for his expertise and undying dedication in the field of police canine training. His passion for scent dog training has given US K-9 Academy in Miami the recognition as one of the top schools in the world in the field of Narcotics and Explosive Detection. Peter is also an instructor and certifying official under FIU's IFRI-NFSTC program, authorizing him to train and certify law-enforcement officials worldwide. Peter has appeared in numerous television and radio programs and interviews, both in the US and abroad, as an expert in the field of Detector Dog Training. U.S. K-9 Academy not only trains police dogs, but can train YOUR DOG too!